Our customer operates a number of brown coal transfer chutes for handling the flow of the bulk brown coal material between an open cut mine leading to a power station. 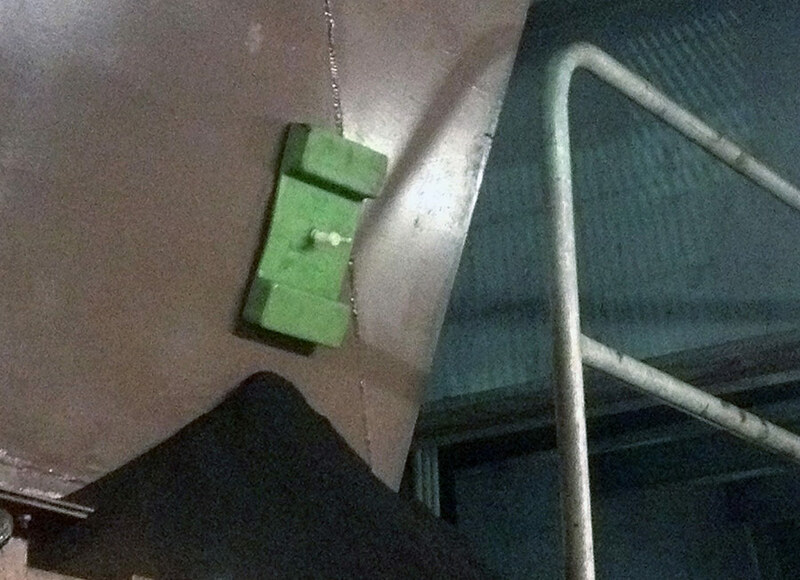 This particular chute is positioned at a height of approximately 2 metres off the floor, where it leads to the receiving conveyor. The chute opening is approximately 1200mm wide, tapering down to 700mm. The chutes are ageing and are beginning to show signs of deterioration. A large coal spill was reported and a small hole in the chute wall was confirmed by as being the cause of this spillage. Continuous production needed to be maintained for the transfer point, so the hole needed to be fixed urgently, whilst the increasing volume of spillage needed to be cleared away requiring a bobcat. Our customer was able to resolve the leak immediately by applying the magnetic wear and repair K-Magna-Patch. “The patch was very easy to apply – it was lightweight and didn’t require any special tools. First we placed the bottom section of the patch on one side of the hole, and then hinged it centrally across the hole and secured it with the other section of patch. Straight away the leak was stopped. We monitored the area overnight in case the impact of the transferred material might throw the K-Magna-Patch off. But it didn’t and so we were then able to plan for the repair efficiently and permanently without requiring any conveyor shutdown time.